Whether you are planning to get a Solar PV System or not, you can reduce your electric bill up to several hundred dollars a month by following a few simple energy saving tips. In fact, spending $2,000 on your house, to lower your electric bill, could save you tens of thousands of dollars off the cost of your Solar PV system. That is money well spent. I am not going to give you small, insignificant energy saving tips that will assume you want to make major changes to your lifestyle. These make very little difference and most people don’t want to change how they live to save energy. I am not going to tell you to wash your clothes in cold water and take cold showers, because nobody wants to do that. So without further ado, below I have outlined some useful energy saving tips for you. a.) 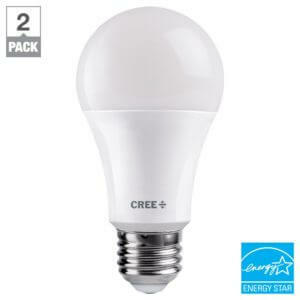 Replace your compact fluorescent (CFL) & Incandescent light bulbs with high quality, dimmable LED bulbs. Most people prefer, what is commonly referred to as, the “Soft White” light spectrum. But be careful, not all LED bulbs are created equal. Some unscrupulous manufactures put “Soft White” on their labels, when they are not. Look at the label and make sure it is in the “2700K” to “3000K” light spectrum. We have tested many LED bulbs over the years and have found Cree to offer the best value for performance LED bulbs on the market today. They can be found at Home Depot. These high quality bulbs are less than $6.00 per bulb as of Jan 1, 2018. This quickens your payback to just a few months, thanks to Hawaii’s high energy rates. LED lighting is one of the easiest to implement energy saving tips. If you have halogen lighting, ditch those fixtures for something compatible with LED lighting. Halogen lights are very inefficient and create a lot of heat, which is not something most people want in a warm climate, like Hawaii. Those bulbs will battle your Air Conditioning, at the expense of your electric bill and your pocketbook. a.) 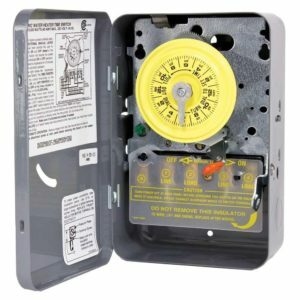 Install a hot water timer, so you won’t heat water when you don’t need it. You can do this whether you have solar hot water panels or not. If you know that you will only be needing hot water at 6:00am and from 5:00pm to 9:00pm, then you can set your timer to turn on at 4:00am and off at 6:30am. Then turn it on again at 3:00pm and off at 9:30pm. Some people may tell you that, if you don’t have solar hot water, this won’t help you. That is incorrect. I have done it, and it works. b.) Replace your old style hot water heater with a modern “heat pump” style hot water heater. It will use just a fraction of the energy to heat your water. Heat pump style water heaters work very well in Hawaii, especially if located in a warm place, like a garage. The RHEEM Prestige Series Hybrid Electric Water Heaters are a good choices. c.) Tankless hot water heaters can sometimes be a good choice as well, BUT the problem with tankless water heaters is that they can only produce so much hot water at one time (at a certain rate), especially electric heaters. So the flow rate will probably be lower than you are expecting. You can also use propane, which will heat water faster, but the price of propane is high right now. They work great in certain situations and I have some clients that have benefited from them, but I also have some clients that had to remove them shortly after installing them. For two people living in a house, it can usually work out, as long as they don’t shower at the same time while using hot water in their washing machine or dishwasher. In general, a heat pump water heater is the way to go in Hawaii, or better yet, a solar hot water system. a.) Running your AC, if you have it, all summer long is kind of a must in Hawaii. Changing your filters often and keeping the temperature at a reasonable level will help, but it’s going to cost you, no matter how you slice it. For most people, 79-80 degrees is reasonable. If you are willing to turn it on only during the hottest part of the day, that would really help too. If you like to keep your AC at 72 degrees, 24/7, you can expect your electric bill to be $800-$1,200 a month. For every degree that you lower the temperature of your AC, the amount of energy required to maintain that temperature rises exponentially. b.) A hot attic will make your house hotter and determine your AC to work harder. 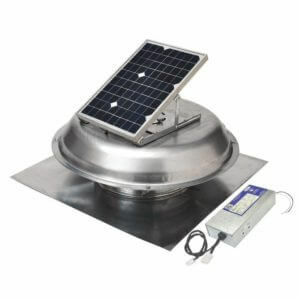 Installing one or more attic fans will help get that heat out. c.) Windows can make a big difference too. 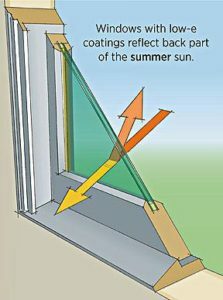 Many of the homes built in Hawaii, prior to 2000, were built with cheap single pane windows that let cool air out and transmit the sun’s heat into your house, like a Solar baking oven. Replacing those old windows with high quality, low-e windows can make a huge difference in both the temperature of your home and reduce the amount of time your AC compressor is on. If you only have the budgets to do a few at a time, start with the south side of your house. That’s where most of the heat is generated. a.) Reduce the flow of your pool pumps just a tad. If your pool pumps are not adjustable, you can replace them with an Inteliflo or Hayward pool pump. These pumps are known for being very efficient and can save you several hundred dollars a year in electricity. b.) 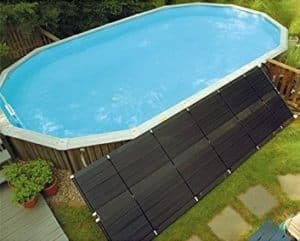 Are you heating your pool with electricity? If you are, use solar hot water panels instead. This will reduce your electric bill by a large amount. The panels can be mounted above ground or on your roof. c.) Add a little liquid pool cover to the water, so the heat will be retained and the heater won’t have to work so hard. This will save you a lot of money for a very small expense and make the pool more comfortable. d.) If your pool has an infinity edge or a waterfall, reduce the amount of time it is running and it will stay warmer. 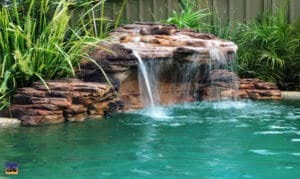 Falling water creates an evaporation effect, which is cooling your pool. If you have a pool heater, the water fall is battling that heater. a.) Adding solar PV to your Hawaii home is one of the most financial savvy things you can do, after implementing some of the above mentioned energy saving tips. Most of our clients will save between $175,000 and $500,000 off their electricity bills, over the course of 30 years. Thanks to generous Federal and Hawaii State tax credits, most households will break even on their Solar PV expenditure in only 3 to 5 years. The sooner you get solar, the sooner you will start saving. HELCO & MECO no longer allow new PV customers to backfeed to the grid, but that doesn’t mean you can’t install solar. It just means you can’t use the grid as your battery. We install a 14-28kwh battery, that works in conjunction with your Solar PV system. 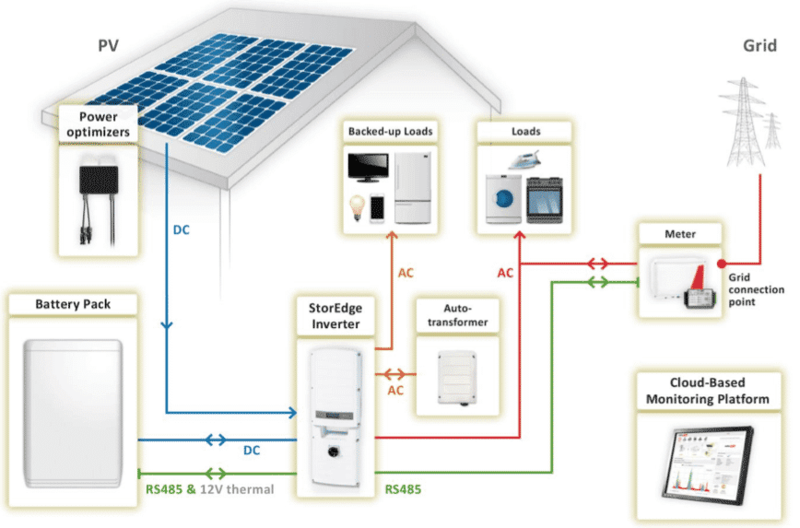 Solar energy is generated and used during the day, while the excess is sent to your battery. At night, that excess energy is taken from the battery and used to power the loads in your house. The lithium batteries we typically use are Tesla Powerwalls and they come with a 10 year warranty, while the PV modules and inverters come with a 25 year warranty. Contact Pacific Energy for a free Solar PV proposal.